Happy Sunday! I am very excited about the brand and collection I have to show you today. Superficially Colorful Lacquer is the brainchild of my friend, Jin. 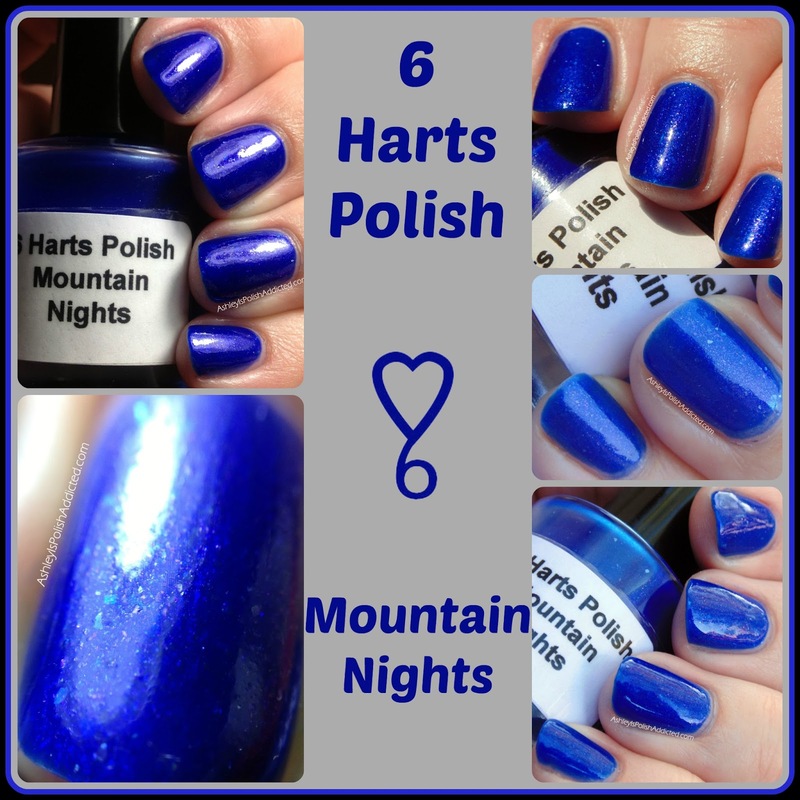 She has sent me several of her amazing thermal polishes over the last couple of years as gifts (you can find my pics of Impulsive here). She is so talented that I have, along with several other ladies, been trying to convince her to sell them publicly so she has finally opened shop! 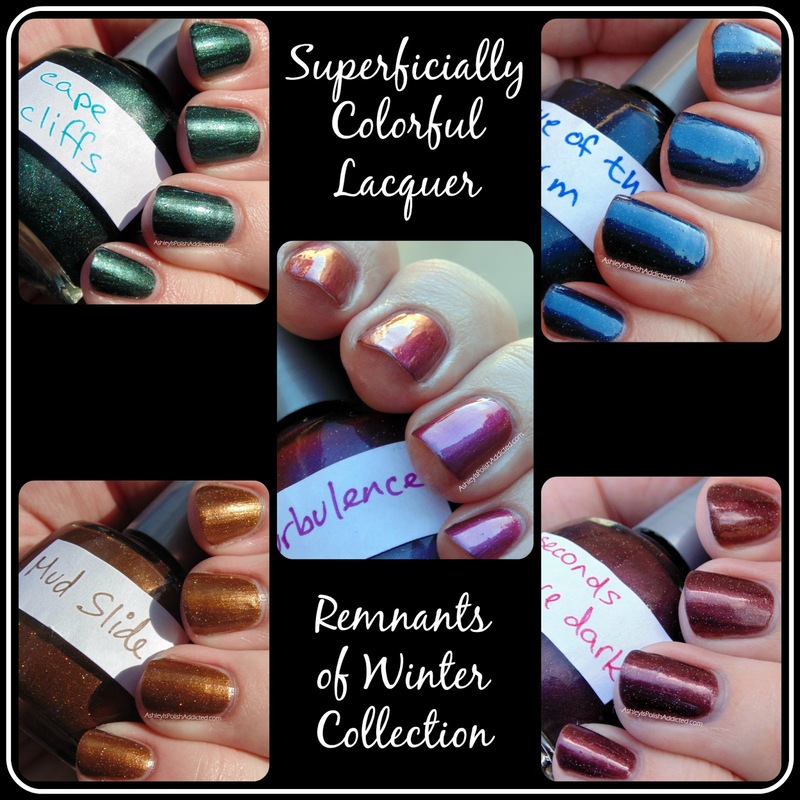 Her thermals are amazing, and are available in her shop (I will have more of those to show you soon), but today I have her first official non-thermal collection to show you. The Remnants of Winter Collection. 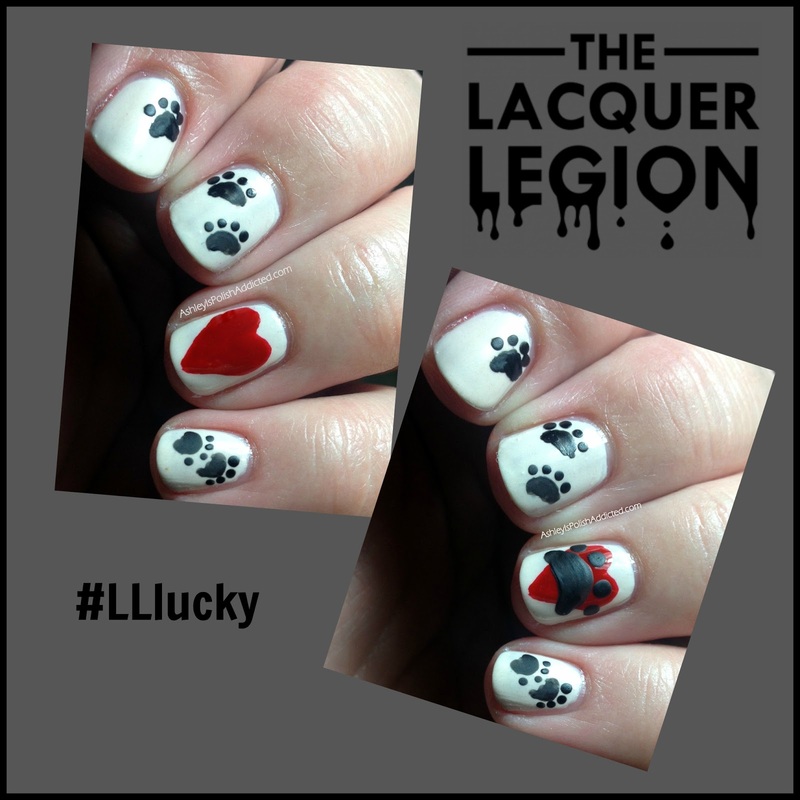 Lacquer Legion: Lucky - Lucky to Have the Love of a Dog! Happy Friday! Today is the third Lacquer Legion prompt but my first time participating. I've enjoyed the other prompts but just didn't have the time to do the nail art that I had in mind at the time. So I am super excited to be participating today! The Lacquer Legion was created by Sarah from Chalkboard Nails, Sammy from The Nailasaurus, Leslie from Work/Play/Polish and Rebecca from Rebecca Likes Nails. 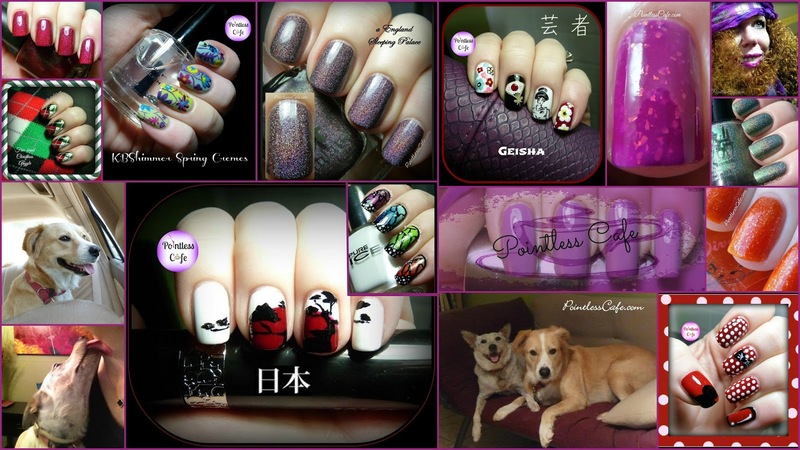 Each month has a different prompt and anyone can join in with their interpretation of the prompt through nail art! All you have to do is follow the Lacquer Legion (links at the bottom of this post) and use the correlating hashtag for the month in social media posts. This month's hashtag is #LLlucky. I don't know about the rest of you but I am so glad this Monday is over! Today was a true "Monday." The week can only get better from here, right? The good news is I had something happy and beautiful on my nails today! My very first NailNation 3000 polish, and it was named after my dear friend Sheila from Pointless Cafe! Good evening! I don't know about you but I am so excited the weekend is almost here! This week seems to have been years long. So, to cheer myself up I put on a brand new polish that I just got and once I put it on I knew it was going to be a favorite. Happy St. Patrick's Day! 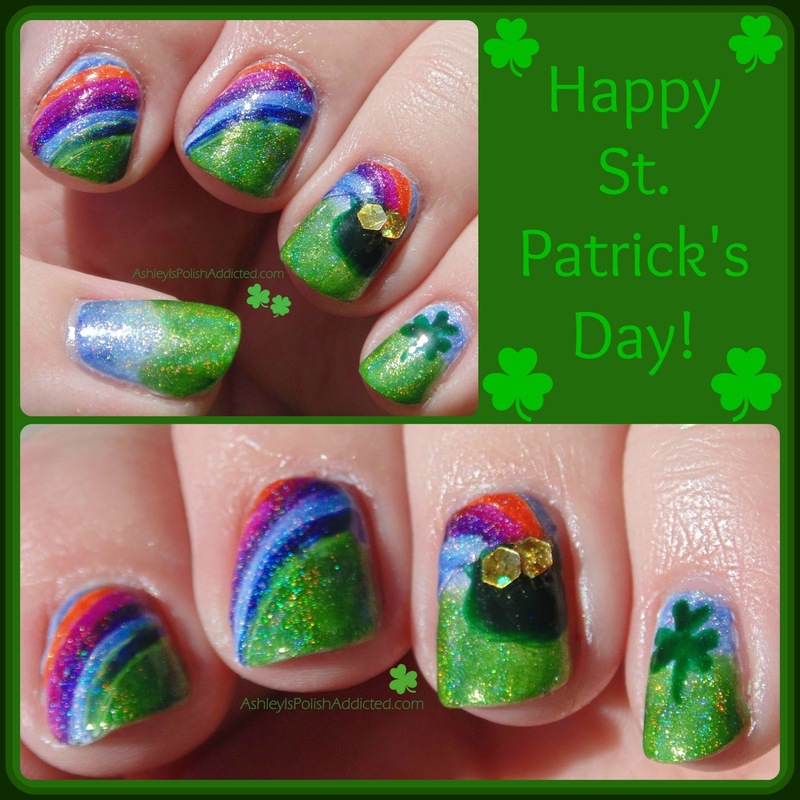 I have a pretty fun mani to share with you today! St. Paddy's Day has always been one of my favorite holidays. It's fun and cheery and the weather is usually wonderful! Happy Saturday! 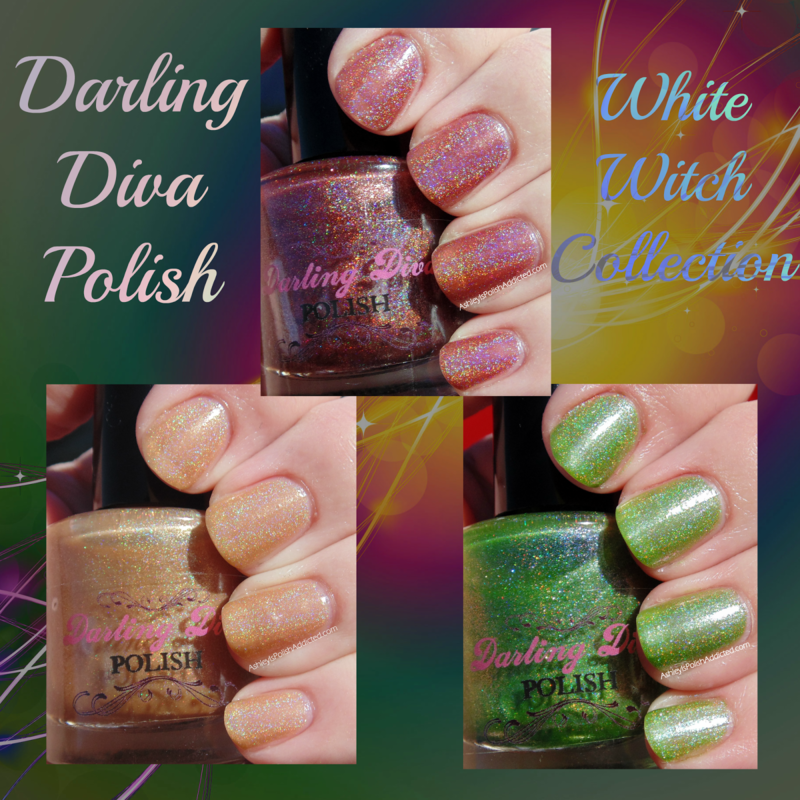 I have the first post of Darling Diva's White Witch Collection to share with you today! This collection has become one of my favorites of all time and I've enjoyed wearing them all immensely! Hello lovely readers! 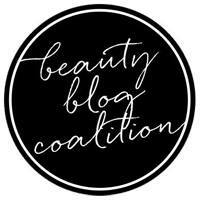 Today's post is a different type of post but I am excited to share it with you! Pointless Café is celebrating its 3 Year Blog Anniversary today (March 10th) and Shawn from Above the Curve contacted me asking if we could get the nail polish community together to celebrate the woman behind the blog and show her how much she is loved and appreciated! Since I love Sheila and her blog to pieces, I thought it was a great idea! I think 3 years of Pointless Café is definitely something worth celebrating. 3 years of amazing swatches, honest reviews, funny stories, adorable pups and the occasional rant. Sheila is one of the hardest working bloggers I know. 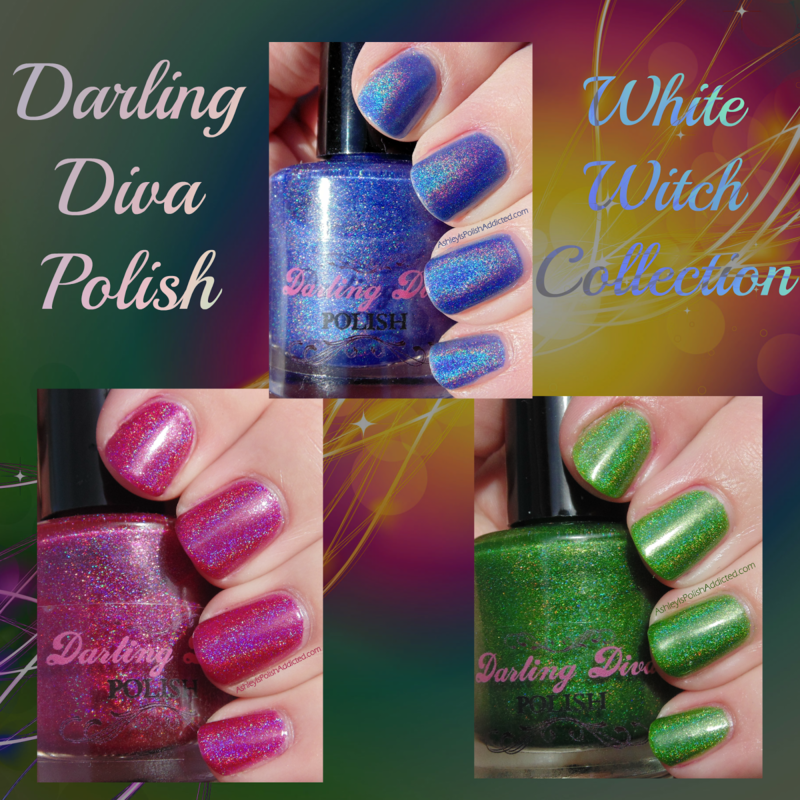 She swatches so many polishes daily and they are always color-accurate and beautiful. 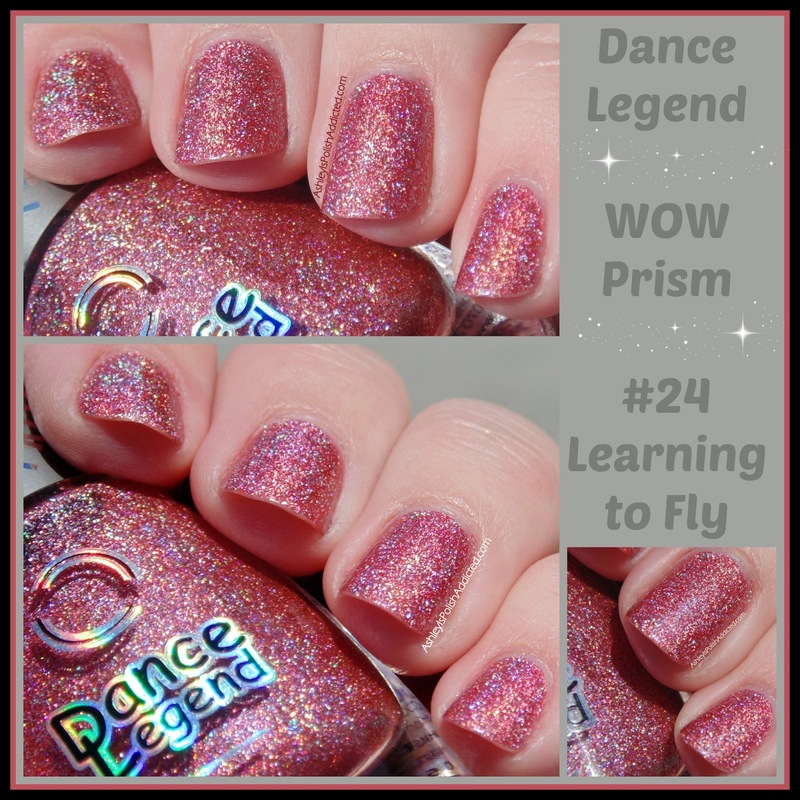 She can get polishes swatched so fast it makes my head spin! And those macros!! Sheila is also a very sweet, giving person who would give you the shirt off her back if you needed it. So lets let her know how much we love her today! Head on over to her Facebook page and share a favorite memory or post of hers with her! Or even a nail art mani inspired by one she created! There will also be some surprises in store for today so make sure you keep your eyes open for a day full of fun! Happy Wednesday everyone! It's been nearly 2 weeks since my last post, I was beginning to wonder if I'd remember ho to write up a post! LOL Between life being busy and me dealing with some health issues I just haven't had much spare time lately. I do hope things start calming down soon because I have a lot of pretties just sitting here waiting for me to show them off! For today I just have a quick (and old) nail of the day to show you. I have been wearing the same polish (A England Sleeping Palace) since Sunday and before that I was naked for about 3 days! Shame! Since I've already shown you Sleeping Palace, I'm showing you a polish I wore a few weeks ago and had pics just sitting there waiting for me. 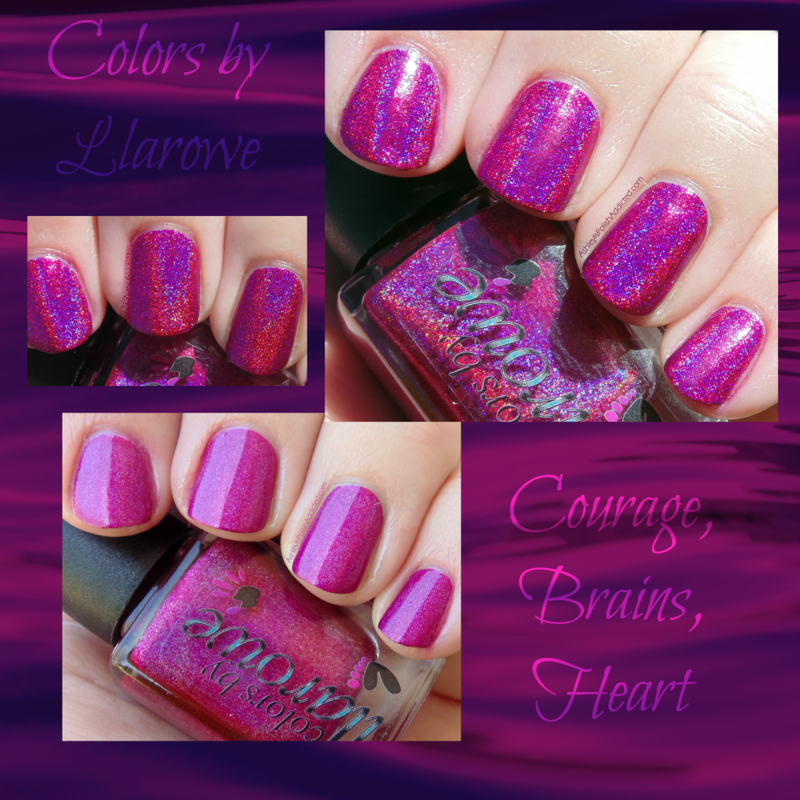 Zoya Lola is a super bright and cheery pink with a purple/blue flash. I'm not a huge pink fan but when they are bright and in-your-face I love them! I hope to be back to posting on a regular basis very soon! My brother is getting married this weekend so I will be busy (including doing multiple manis!) so I may not be back regularly until after the weekend. In the meantime, I hope you are all having a great early March!